Do you need a plumber in High Point, Greensboro or Winston-Salem that will maintain your home's plumbing system? Central Carolina Plumbing offers a maintenance program within the Whole House Agreement that helps keep your pipes in good working condition. a time that's convenient for you and by making the repairs before the condition worsens we'll be helping you save money. From full water/sewer replacements to repairing or installing new plumbing fixtures Central Carolina Plumbing is the Greensboro, Winston-Salem and High Point plumber you can rely on to keep your plumbing system in the best, most efficient condition. Central Carolina Plumbing was formed by Central Carolina Air and offers the same dependable service to our Triad customers. We're proud to be accredited with the Better Business Bureau for 28 years and to have received the BBB's A+ Rating. 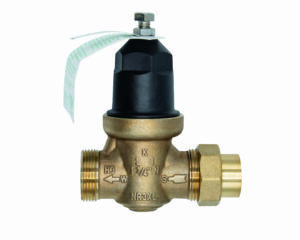 Water Pressure Reducing Valves are a simple way to conserve water and energy if your water pressure is 80 psi or above. These automatic controls are installed in the crawl space or near a shut off to reduce the city main pressure to a lower, more functional pressure-for most purposes: 50-60 psi. This also helps save the life of water fixtures. If you are in need of a plumber in High Point, Greensboro or Winston-Salem, Central Carolina Plumbing is your reliable local professional. Call 1-800-461-3010 or contact us for more information, to request a proposal or to request a repair.